A few days ago I received a call from a friend of mine, a marketing manager at an e-commerce company. It’s a story I’ve heard all too often these days: He’d purchased banner ad space — unfortunately, the results didn’t meet his expectations. To say the least, he was very frustrated. He needed to get the word out about his company and their products. But the networks he was using weren’t delivering. Frankly, he didn’t know what to do. The problem he was facing is called banner blindness. After our conversation ended, I thought to myself, is banner blindness killing the ad industry? And perhaps more importantly, what can we do to beat banner blindness? After some thought… I felt compelled to share my thoughts with you. The ad industry isn’t going anywhere. On the contrary, it’s more effective than ever thanks to online advertising. And in this blog post, I’m going to share with you how to beat banner blindness. But first, what is it? Banner blindness happens when people ignore banner ads. Think of yourself for a second. You probably saw a few banners today. Do you recall any of them or their offers? Many studies have shown that online users ignore banner ads and the messages they contain. In fact, only 14% of consumers remember the last ad they saw and the company or product it promoted. Even with today’s sophisticated targeting technology, relevance remains a key challenge – only 2.8% of online browsers think ads are relevant. To sum up the research: Banner blindness especially affects savvy online users, who look for something specific on a website and ignore banner ads as unimportant. Over the years, people have become conditioned to ignore traditional banner ads and have stopped noticing them almost completely. It’s true, banner blindness exists and it’s one of the advertising industry’s biggest challenges. Marketers and publishers need to take note and take the necessary steps to improve the ecosystem. So how do you fight banner blindness? Here are the 7 best ways to beat banner blindness, and increase your traffic and cash flow. People disregard the routine, the usual, the cliché. And that’s even more true when it comes to advertising. In the text or right after it. Most people start reading a page at the top and give it more attention. Within your blog — for example, between the posts in your blog. Remember, your ad can be beautiful, interactive, surprising. To improve your click-through-rate (CTR), experiment as much as you can with elements that attract attention like social media buttons and video. Pro Tip: Google Adwords allows you to test your ads performance. Also, try native advertising leader Infolinks – who conducted a banner blindness study and developed anti-banner blindness ads. For example, Infolinks’ InFold ads appear in a unique, above-the-fold location. As an advertiser, you should understand your audience’s needs and be able to offer a relevant solution. Don’t deliver ads without first identifying what your visitors want. Use relevant content, including the keywords that reflect the interests of your primary audience. Choose the right ad network so you’re linking your audience to publishers who are relevant to your audience and your specific focus. If you make sure your site offer ads that are targeted, useful, relevant and delightful, then your visitors will respond more positively. Pro Tip: Amazon reports that contextual links within blog posts work best. 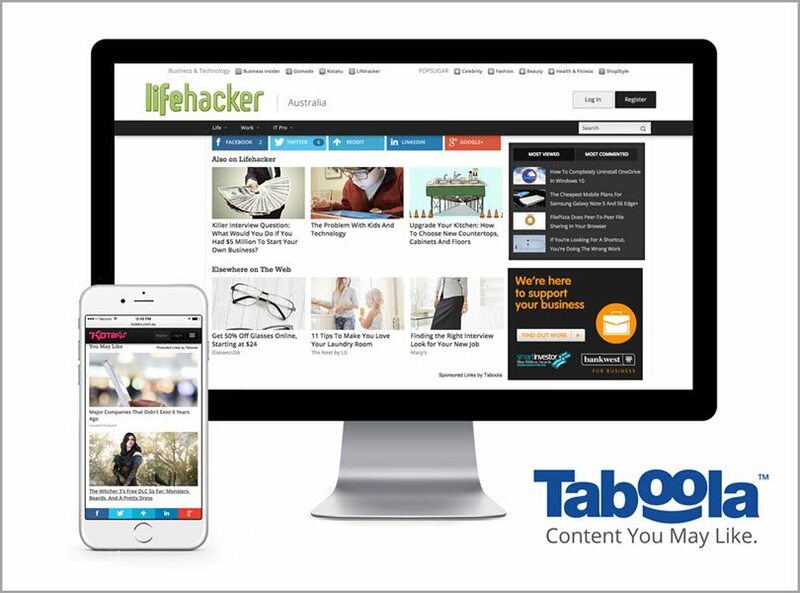 Taboola and Outbrain are good platforms to test this out on. Seeing the same thing over and over again gets boring – and can decrease the performance of your ads. When creating ad space, choose non-traditional and memorable locations to improve user recall. Non-standard formats and designs will also help you avoid being overlooked. Create your banner as a part of the page, not as an outer ad. Use unusual colors and brand personality, extraordinary ideas, animated banner ads and even 3D design. In addition, applying motion effects could also be a method of increasing interaction. Pro Tip: Make sure your banner ads have a compelling story and an emotional hook to get people’s attention. 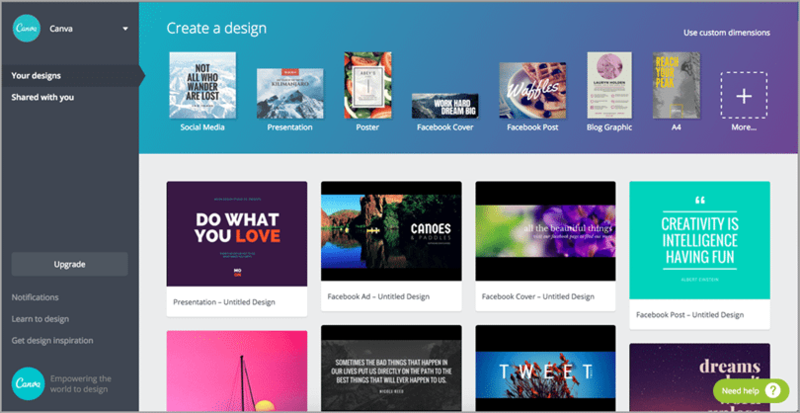 Try Canva or Infolinks. Note: A key benefit of online advertising is that you can easily track the effectiveness of your banner ads, including how many people are seeing it, how many people click on it, and much more. Pro Tip: Make sure your site is mobile-friendly. 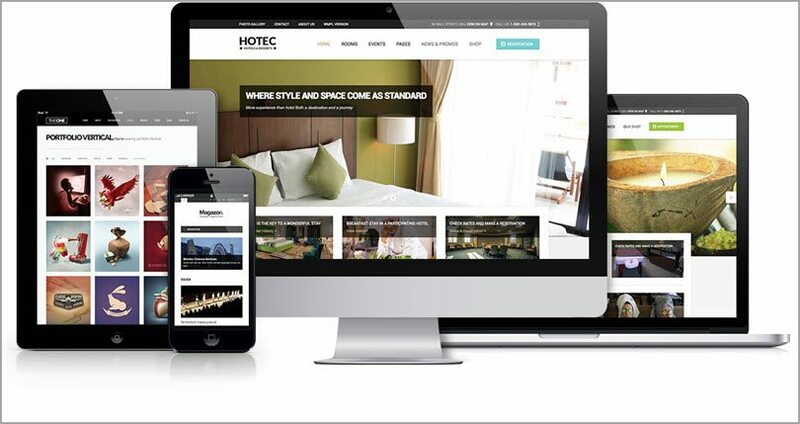 You can test your site to see what you need to do to make your site look as good as possible on smaller screens. You’ll be glad you did! To make sure people can view your content on the small screen of a smartphone, it’s especially important to decrease clutter by serving fewer ads. Publishers who reduce clutter on their pages will attract advertisers who will pay more for premium, uncluttered space. Affiliate programs allow you to partner with other companies who share the same audience. 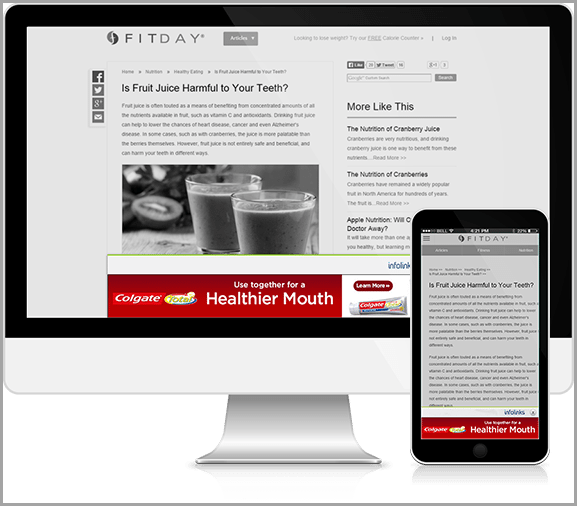 By showing your ads on an affiliated publisher’s site, you can easily combat banner blindness. 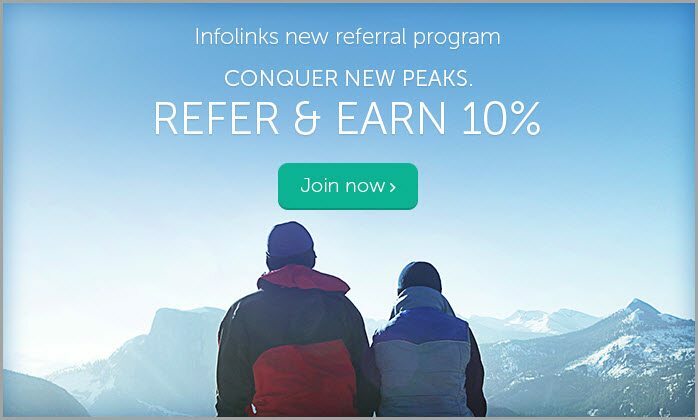 Pro Tip: Infolinks’ publisher referral program is one of the most beneficial programs in the industry today. It pays 10% out of the referred publishers’ revenue during the first 12 months of your referral! To attract and keep an engaged audience, you’ll want to publish content that people love. In my experience, the best way to do this is to create content about something you’re passionate about. Whether it’s nature, biking or technology – you can write blogs about it, share photos of it and build a strong community around it. Find what you really love and transform your site by featuring that passion! Pro tip: Many terrific blogs create a community of loyal followers by linking to other, related sites. Do you link your site to sites that you admire? Also, give your visitors relevant links within your blogs. 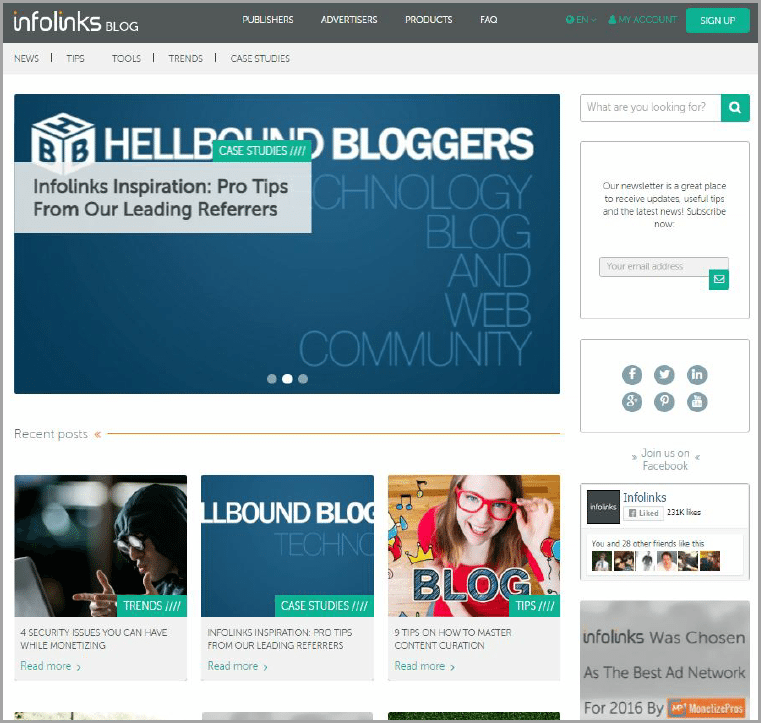 For instance, the Infolinks’ blog offers the best form of native advertising, giving your audience information that interests them – and you can make money, too! Last – but definitely not least – if you’re not getting the performance you want, experiment. Consider each of the previous six recommendations – ad placement, relevant content, non-standard design elements, optimizing for mobile, affiliate programs and following your passion. How can you transform the content you already have, including your site design and content calendar, to reinvigorate your visitors? Pro tip: To re-energize your site and overcome banner blindness, consider experimenting with your site design. If you’re using WordPress, there are lots of custom templates you can choose from. When you do, see if you can come up with unexpected content like an interview, a gallery of photos from a trip, something totally different. Remember, when you put your imagination to work, you can create amazing experiences for your followers. What does it all add up to? More money for you! Let’s be honest: Banners are ads. And they are a useful way for advertisers and publishers to spread the word about their site. When ads are well thought out and provide the right information, they give your site visitors valuable information about products and services they may not be aware of. To overcome banner blindness, create better ads. How? By concentrating on what your visitors are interested in. It’s about their needs, not yours! 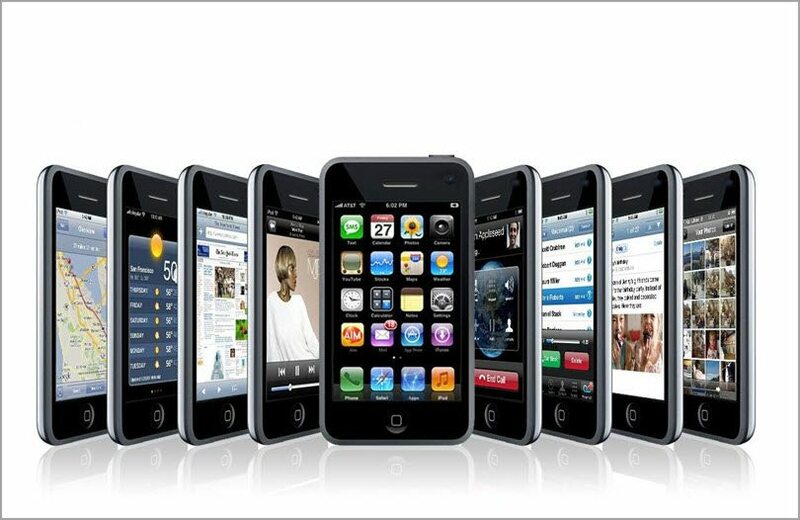 With the right ad network, placing compelling ads in the right locations will increase your traffic and your cash flow. Do you have additional ways to beat banner blindness? Share your story below.